Interior design is both an art and science aimed at planning and creating comfortable, safe, functional, and aesthetically pleasing living and working environments. Creative and technical solutions come together to enhance the quality of life of occupants in both residential and commercial structures. Interior designers must have from one to two years of instruction for an associate's degree and 3 to 4 years for a bachelor's degree. Internships are also incorporated into academic programs in order to provide hands-on training in the design career field. Some states require licensing for interior designers and anyone who claims this job title must complete and pass the NCIDQ (National Council for Interior Design Qualification) exam in order to become a certified interior designer. An interior designer must have good communication and listening skills, as she meets with clients to determine their preferred decorating style, lifestyle and needs, as well as their budget and a timeline for the project. On a remodeling job, she must be able to visualize changes to the space that will make it function better, look better or both. Working with computer aided design programs, she can present her clients with 2-D and 3-D floor plans to help them visualize her ideas and get feedback on any potential conflicts. 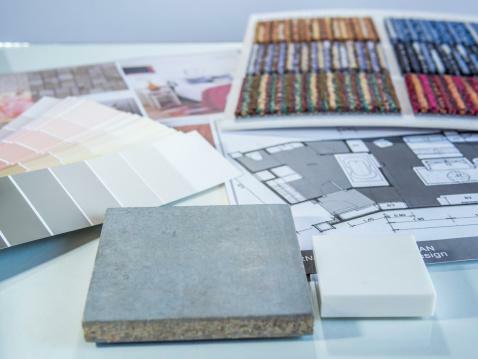 A mood board or sample board that contains pictures of furnishings and samples of upholstery fabric, flooring materials, window treatments and other surface coverings is another tool a designer will use to get final approval for the purchase of interior furnishings. Once the design plan is finalized and approved, the designer must hire contractors and purchase building materials to put the plan in motion. Sometimes designers will accompany their clients when shopping for furniture, lighting and accessories to help guide them in putting a look together while other clients let the designer make all the purchasing decisions. The distinction is wide between residential and commercial designers, as the scope of their projects tends to be vastly different. Both types of designers work closely with architects, building contractors, furniture makers, and other industry professionals but commercial designers often work with much larger budgets and much larger projects. Residential designers work with families and private individuals on both new construction and remodeling projects in private homes. The designer's primary focus is serving the needs and desires of the homeowner and using his or her skills and experience to plan out functional and decorative spaces. Residential designers often specialize in certain areas of the home such as kitchens and bathrooms or lighting design. Commercial designers work with a wide range of clientele that includes corporations, government entities, and businesses in a variety of industries. Therefore, commercial design provides a much wider scope for specialization. A designer specializing in hospitality will focus on hotel and restaurant interiors whereas the designer focusing on healthcare will be doing doctor's offices, waiting rooms, and patient hospital rooms. Commercial designers must also focus on brand image, functional space limitations in the workplace, and ensuring that public buildings are ADA compliant. 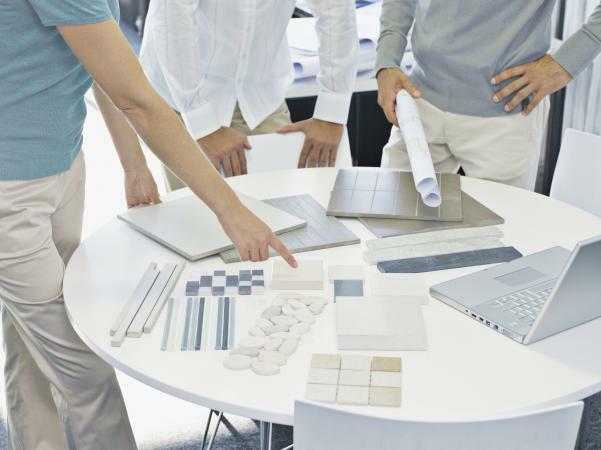 Although the terms are often used interchangeably, it's important to know the difference between interior design and decorating when it comes to hiring a professional. Interior designers must earn a degree and become certified to carry their job title. They can develop a project from start to finish, drawing up blueprints for building projects. Designers can also finish out the project by helping customers select accessories and furnishings. Interior decorators don't design rooms or buildings or work with blueprint construction plans. Those with formal education earn diplomas or certificates from studies that focus on color theory, floor plans, furniture design, and other types of surface decorations. Decorators are much more limited in the scope of services they can provide than interior designers. With the majority of consumers today being self-taught experts on practically everything they buy, interior designers have adapted by making their services more interactive, technology-based and affordable. Now you can get assistance with decorating and design projects without ever having an interior designer step inside your home or meet you face-to-face. All you have to do is upload photos online of the room or rooms you want to decorate or redecorate. The designer will also need measurements and gets a good idea about your style preferences once you've taken the style quiz. Decorist offers three packages ranging in price from about $300 to $600-$1300, mainly depending on the expertise and experience of the designer. Their highest priced package includes celebrity designer names. Laurel and Wolf focuses on affordability with three inexpensive options ranging from about $80 to $150 to $250, based on the amount of help you need. Services start with just room accessories and then evolve into full floor plans with different layout options for furniture, shopping lists and unlimited revisions. Havenly starts you off with a free 30 minute chat with a designer who will give you product recommendations and style advice as well as a concierge buying service. For about $80 you'll get three ideas to choose from for one design concept with a revision and for about $200 you get a 3-D rendering included with the design concept and floor plan, with up to two revisions. Services may also include direct messaging or video chats with a designer before a formalized design plan is presented to the client. Interior designers have even turned to technological gadgets to reach the youngest consumer base of hipsters and millennials. Hutch is a millennial favorite, founded by design student Beatrice Fischel-Bock and some fellow students who were inspired by apps for design games. A rendered image is created from the users uploaded room photo, which can then be styled by selecting various filters. Filters for trendy styles such as Hygge, California Cool and Midcentury Modern are targeted toward the younger generation, who can add the look with a swipe and a tap. The suggested furniture and accessories can also be swapped out for different pieces. But what really sets Hutch apart is that the service is totally free. Hutch makes money through the sales of furniture and décor contained within their templates. Modsy is similar to Hutch as users work with rendered images of uploaded room photos to try out different furniture styles and accessories in their home before they buy. The concept is similar to taking a car for a test drive, giving consumers a chance to feel out different looks and layout designs on big furniture pieces like sofas, tables, cabinets and beds. Modsy offers two flat rate prices for room designs; $70 covers their basic service which includes style suggestions based on a style quiz and for $200, a style advisor will assist you via the phone, messaging and video. Interior design must constantly evolve and change to meet the demands of today's high-tech, fast-paced lifestyles. From reclining, vibrating movie theater seats to luxury, private birthing suites, interior design plays a silent but significant role in everyone's daily life.